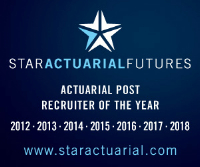 Our client is seeking a part-qualified actuarial student to join their London team. The person should have experience in reserving in General Insurance, preferable with Lloyd's/London Market experience. The new person should have strong communication and technical skills, with a good academic record. This is an excellent opportunity to work with a successful Lloyd's Managing Agency.